Plans were made for the summit teams. Mallory and Geoffrey Bruce would be the first pair and Somervell and Norton the second. Odell and Irvine were to be supporters at Camp IV and Hazard was to remain in Camp III. 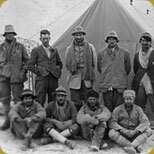 On June 1st Mallory and Bruce set out from Camp III with nine "Tigers" arriving at Camp IV to find Odell and Irvine already there in readiness to fulfil their role as supporters. On June 2nd the plan for Mallory and Bruce was to move up to Camp V at 25,800 ft and Camp VI the next day. It was clear and calm when they set off but out of the shelter of the North Col they found themselves pounded by a strong and bitterly cold wind. Around 25,000 ft the porters became exhausted with only four willing to continue. The others deposited their loads and retreated. 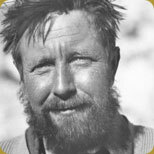 While Mallory organised Camp V, Geoffrey Bruce and Lopsang (one of the porters) went back twice to retrieve these extra loads. 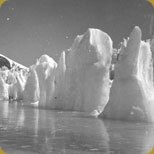 The next morning, June 3rd, Mallory and Bruce should have set out but overnight the porters had lost their spirit, only one was willing to continue, the other two were sick and Bruce was suffering the price for fetching the extra loads the previous day. There was no option but to return to the North Col. The first attempt had failed. June 3rd saw Norton and Somervell move up to Camp V along with four porters. The two climbers rose at 5 o’clock the following morning and suggested to the porters that they cooked and ate a meal before starting. Then Norton proceeded to masterfully persuade the porters that their names would be held in honour and glory if only they would carry loads to 27,000 ft. This appeal worked and by 1.30pm with three of the porters they reached a height of 26,700 ft and here made Camp VI in a narrow cleft in the rocks that faced north. The tent, just big enough for two climbers, was placed on a platform scraped from amongst the loose stones. On June 4th Norton and Somervell made a summit attempt without oxygen, setting out from the top camp at 26,700 ft / 8140m at 6.45am on a clear almost windless day. They made good progress but by the time they reached 27,500 ft they were feeling the debilitation of altitude. Norton said he felt bitterly cold and shivered almost uncontrollably even though he was sitting in the sun during their numerous stops and despite the fact he was wearing a thick woollen vest and draws, a thick flannel shirt and two sweaters under a lightish knickerbocker suit of windproof gaberdine, the knickers of which were lined with a light flannel, a pair of soft elastic Kashmir putties, and a pair of boots of felt, bound and soled with leather and lightly nailed with the usual Alpine nails, while over all he wore a very light pyjama suit of Burberry’s "Shackleton" windproof gaberdine. Somervell’s attempt ran out of steam at 28,000ft / 8500m while Norton progressed alone to a height record of 28,126 ft / 8,540m before turning around suffering from exhaustion and double vision. Both returned back, utterly spent, to the North Col that same day. On June 3rd Mallory and Geoffrey Bruce had gone straight from Camp V to Camp III to consider the possibility of getting enough porters together to carry the oxygen equipment up to Camp IV . Irvine meanwhile was working on getting the oxygen equipment to work efficiently. Odell and Hazard had moved up to Camp III. The next day Mallory and Irvine climbed back up to the North Col in two and a half hours using oxygen, a relatively fast time. Here they met Norton and Somervell returning from their failed attempt. The plan was explained to Norton who entirely agreed with the proposed attempt and although he would have preferred to see Mallory accompanied by the more experienced Odell he did not interfere. Odell and Hazard had come up from Camp III and Somervell had gone down. Mallory and Irvine remained here with Norton on the North Col over the 5th of June before heading up with four porters on the 6th of June to Camp V. A now temporarily snow-blind Norton could only wish them luck as they departed on their endeavour. The next morning, June 7th, Mallory, Irvine and the porters moved up to Camp VI, the porters returning the same day to Camp IV while Odell moved up to Camp V in support. 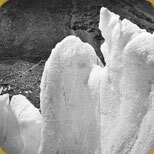 June 8th brought the attempt with oxygen of George Mallory and Andrew Irvine. They were last seen "going strong for the top" at around 12.50pm before disappearing into the clouds never to be seen again, and thereby they entered into both the history books and legend. The mystery and arguments as to whether they reached the summit of Everest or not continues to this very day.